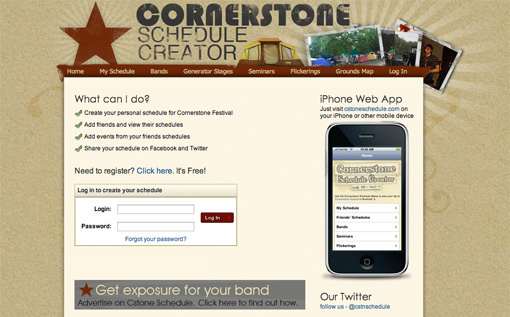 Created to help attendees of Cornerstone Music Festival plan out their week. The initial code was written overnight, and then the design was updated and tweaked with primary artwork from David Hechler. The second year, the site had a mobile version, an interactive grounds map, audio clips of artists, and links to iTunes.